Something has changed with my use of all of my devices. Due to memory issues, I have gone back to using dedicated devices. I listen to music on an iPod rather than my iPhone and have been looking for a better way to show off my photos and videos than the iPad. It is funny how I have gone full circle with the devices back to a day where I kept many things separate. The Cinepal HD Personal Media Player is a product that could solve some of my issue of photos and video. Let’s take a look. The Cinepal comes in an attractive white case. The unit measures 8.6 x 5.25 inches and is only half an inch thick. All of the controls are located to the right of the screen. 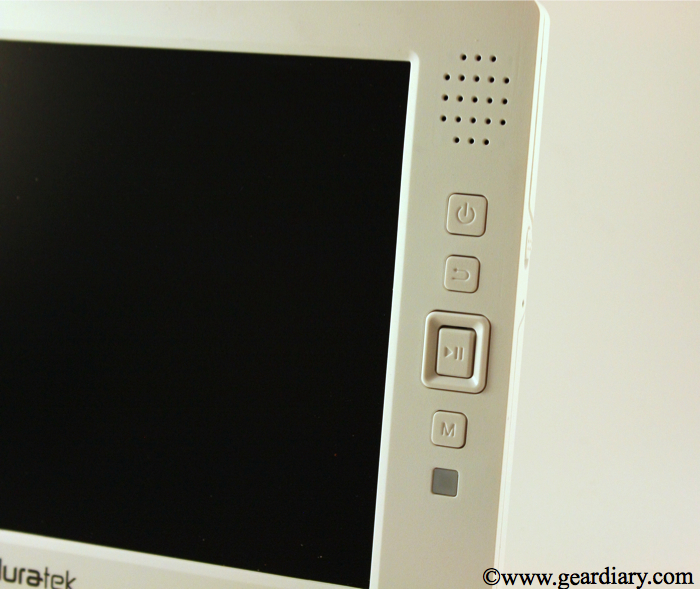 The buttons include a power, back button, play/pause and menu buttons. A square button around the play/pause will navigate highlighted items as well as adjust volume with media. 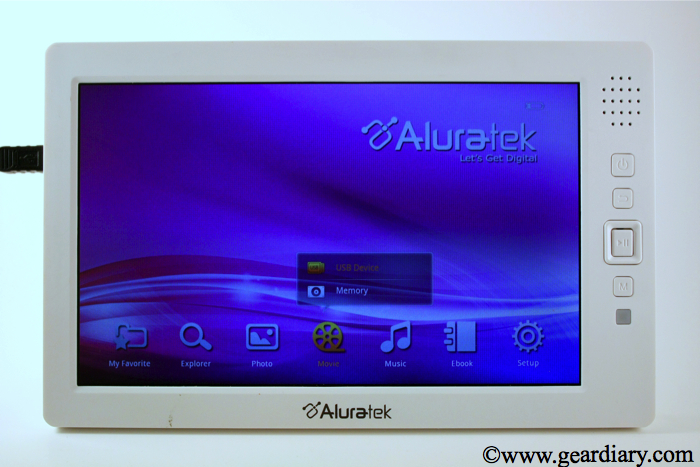 The device is not touch screen, but the buttons are easy to use and placed in a usable location. Just above the buttons is the speaker which is not stereo, but provides ample sound for music and videos. 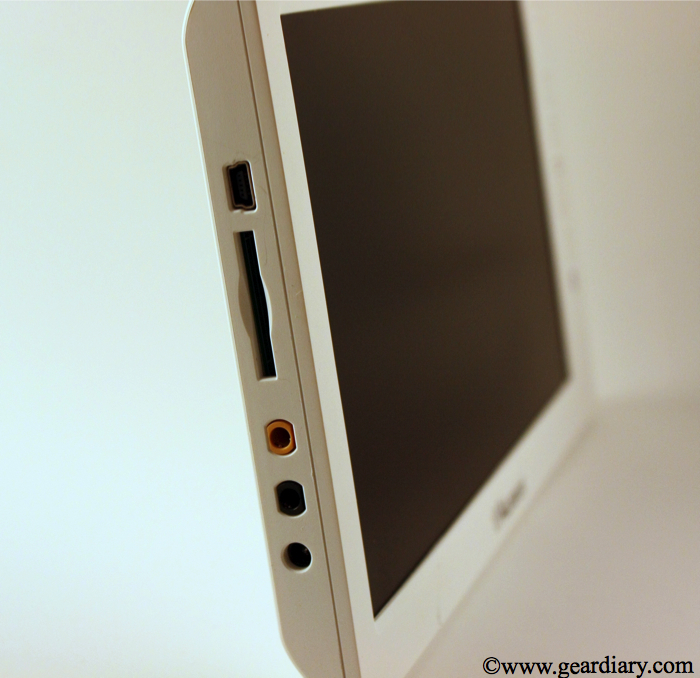 The left side of the case includes the mini-USB port, SD card slot, HD out port and headphone and charging plugs. The back of the unit includes a small flip out kick stand making the unit perfect for a desk or shelf. Using the Cinepal player is easy and intuitive. The home screen includes everything needed to use the product for all uses. Using the square directional button, simply move the highlighted items and press the middle button to choose. Access favorites, explore all files in memory or look at photos, movies, music and eBooks. The setup icon will allow all settings to be personalized. Each form of media has specific menu choices keeping the user experience perfect for each user’s needs. Having so few buttons is nice, because each of the media players has similar button functions so the controls are similar and consistent across the board. 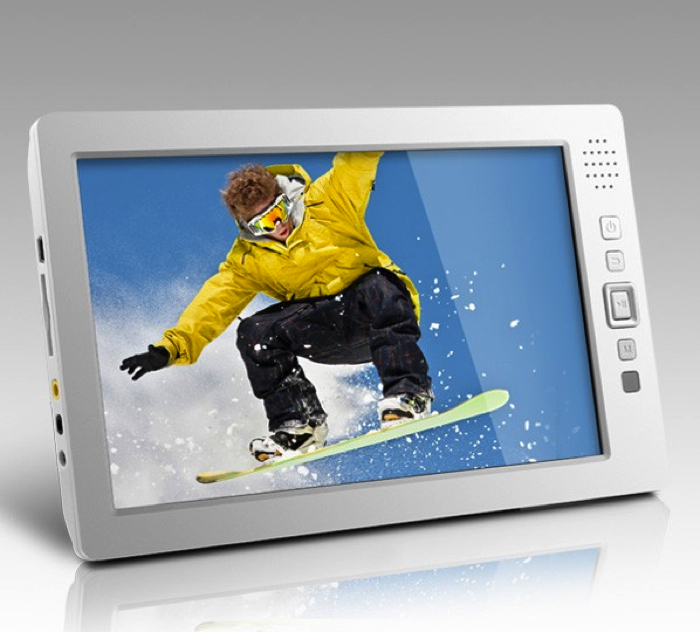 Using the Cinepal required virtually no learning curve and the software layout allows media to be accessed quickly and easily. 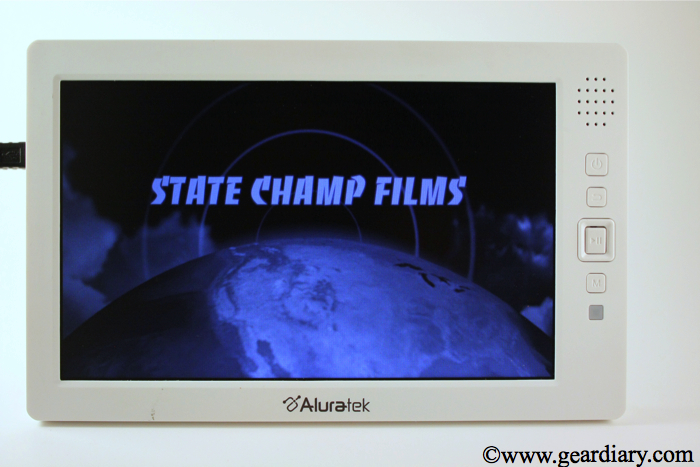 There are multiple ways to access media to be played on the Cinepal. The unit includes 4GB of hard drive space, but also allows for huge expansion of removable media. Using the mini-USB to USB 2.0 adapter cable a flash drive or external hard drive can be connected easily. The unit will automatically access the drive and will show USB memory when choosing the media. No need to organize files, as they will automatically show up under the correct form of media. An SD card slot is also included giving another method of expanding the memory. I have been currently using a USB flash drive as my media access. I had no trouble accessing any of the media I placed on the thumb drive and loved how the software automatically places the different types of media into the correct folders and menus. The large number of file formats should allow most everyone to find a way to get their media onto the device and the memory expansion capabilities means there are few limitations to what can be accessed and played. How am I using the Cinepal? I took a high capacity USB flash drive and first added some family photos. When I inserted the drive, the Cinepal immediately showed the drive in files in the photo viewer. One click and the photos were playing as a slide show and looked stunning on the HD screen. The product is awesome as a photo viewer and loads quickly. My next move was to add some music from my iTunes library. Once again the music showed up immediately and was easily played. I also set the photo slide show to play music which loaded and played flawlessly. So far, the Cinepal has worked easily and beautifully. I decided to add some videos but had nothing stored on a hard drive. I took some family videos and special videos from our state championship season and exported them as HD movies from iMovie. Once again, the videos loaded instantly in the player. 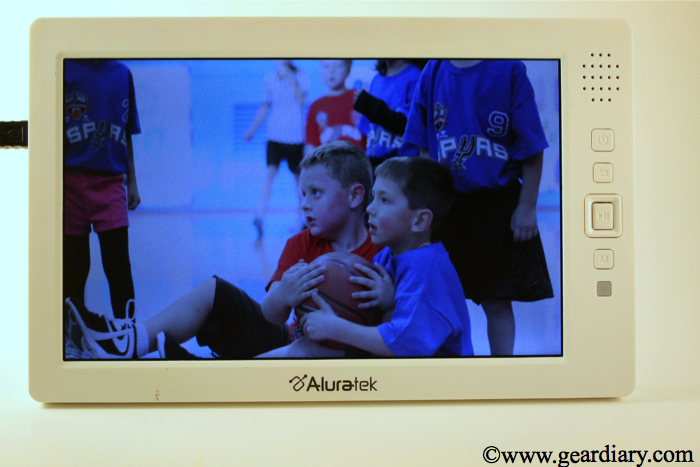 The HD screen is perfect for watching the videos and sharing all of our family memories. Basically what I discovered is the Cinepal had become an amazing method to share all of my family media quickly, easily and beautifully. I have since added all of our recent items we might want to watch or share with family and friends and loaded them on a flash drive to carry with us. The ability to use the product to output HD media via the included component out cable has been great. We were able to show some recent videos on the television to a room full of family members. Another way to use it could be to load memory with each possible user’s media to keep it personalized and also carry a family drive to show off all of your memories. Having this stand alone unit has been surprisingly valuable. If you are in the market for a stand alone media player, the Cinepal can be the perfect solution. Being able to experience a huge variety of file formats on quality hardware has made the product a big win with my family. Take the player on a trip and watch movies or listen to music or take along to show the grandparents your latest family photos and videos. The screen is stunning and is the perfect size to be portable but also usable. Having multiple methods of expanding the memory makes the Cinepal usable for just about anyone. My family will continue to use as our own personal media sharing device and to keep the kiddos entertained on long trips. 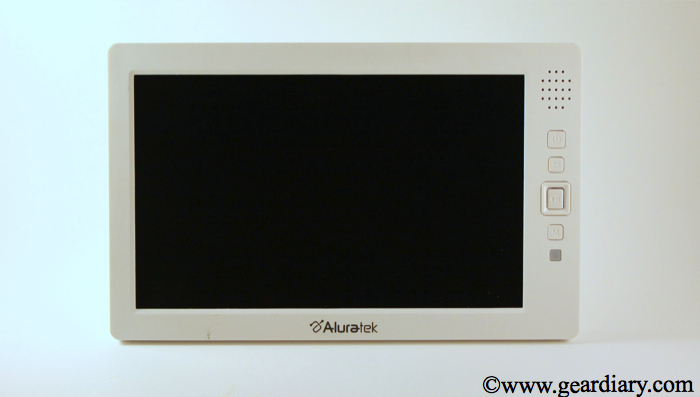 What I Like: The small unit has a beautiful screen and has a super intuitive user interface. Multiple methods of expanding the memory makes adding media simple and convenient. What Needs Improvement: Despite the huge number of file formats supported, I would love to have Mp4 files load for some videos I had ripped on my hard drive.